Mob Historian | STEP BEHIND MY SCREEN OF STORIES. The inner voice where gaps of expression are liberated. The memoir began as a compass to my father’s secret and disreputable criminal history. It pointed to a young girl whose survival was wedged between shameless love and immobilizing fear of her father. Dad sat inches from Ben the night he was murdered. Why did he survive? He ducked! After convincing Meyer Lansky and Frank Costello he would not accept immunity from deportation, and five counts of claiming false citizenship, the Mob honored and protected him. Faced with an identity meltdown ten years after Dad died I implored his friends, associates, historians, the Freedom of Information & Privacy Act, the Immigration and Naturalization Services, and the Archives of the Department of Justice, to build the branches of my family tree. Along this irreversible journey I suffered disgrace, rage, and Dad’s ghostly disapproval as I delved into the FBI files and discovered the family secrets. Most startling was not his gambling addiction, criminal activities, or imprisonment. I learned my father’s attempt at reformation was thwarted by the FBI. A vendetta by Hoover for not cooperating as an informant. I expose what I’ve learned because I’ve made the family history mine. Incorporated within stories of discovery are government surveillance records, newspaper articles, court testimony, and criminal activities that defamed his reputation and our family. As the discoveries occur the reader is taken inside the transformation of my identity. Once liberated from Dad’s paranormal disapproval of my investigation, the book was written. This is a startling, yet inspirational look inside the struggle of a gangster’s daughter to understand her father’s allegiance to the Mob. An unexpected phone call came one day from Ms. Green, a woman I’d contacted with the INS about Dad’s files. She’d located them and agreed to give me copies of the five thousand pages! There was no going back now. Ed Becker told me that the INS most likely had copies of the FBI investigation, ‘Take it slow and remember the contents was written by your father’s enemies, the government! I had an appointment with Ms. Green the following week. The split green metal door was closed so I knocked. A woman opened the door; she appeared the perfect clerk for a windowless metal room of paper. Long uncombed oily hair and a complexion untouched by sunlight. “How can that be? I have an appointment with Ms. Green.” The clerk looked at my despairing agony unwillingly. “My name is Lily Smiley and I’m here to pick up copies of the files on Allen Smiley. Would you take a look on the shelves in front of you? Maybe she left them on the front desk here. The clerk shut the door while I gripped the other side in case she tried to lock it. Westwood village where I lived with my mother sedated my defiance against the day’s disappointment. If I was in Los Angeles I’d stop and walk the streets where my puberty slowly blossomed in a college town with bookstores, two movie theaters, record shops, and the old Mario’s Restaurant where we used to order baskets of garlic bread and coca cola. Wandering through a kaleidoscope of the past, I walked into Walton’s Bookstore. I was intercepted by a prominent display of a newly released book; Contract on America, The Mafia Murder of President of John F. Kennedy. I opened the index and one of the first names I recognized was Gus Alex; my Uncle Gussie. He was a booming personality befitting his height, with jet black hair and bulky features. Uncle Gussie was married to my mother’s confidante Marianne; a statuesque blonde model and dancer. She held Grace Kelly poise. Even as a young girl I sensed she didn’t like me around. Marianne and Mom talked for hours in her bedroom. Relief thickened with the absence of my father’s name in the index. Uncle Johnny ( Johnny Roselli) was written about extensively. I could only glance through the book; every page blurred into the murder of the most loved President in my lifetime. The allegation that Johnny was involved in the JFK murder strapped me to that book for hours; an unforgivable juxtaposition between inquisitiveness and apprehension. It was like playing scrabble with real names, photos, fiction or non-fiction I didn’t know. I could not believe what I was reading; anymore than I would believe my father was associated or informed of these events. I’ve been subjected to scorn, disgrace, and dismissal during conversations about Johnny. Those of us kids who knew him as Uncle Johnny have our own stories. Submerged in film and gangster history, assembling photographs of my father’s movie star friends, his gangsters’ friends, photographs of the nightclubs he frequented, I pasted these into a collage and posted it above my desk. I played Tommy Dorsey and all the big band leaders of the thirties records imagining these props would provoke memories and a sense of identity to my parents. No matter what I uncovered I knew it would be ambiguous and controversial. I was certain there would be no record of murder, dope peddling, or prostitution. Even so, I could never understand the similarities we shared, unless I knew them as people. The ethereal staging did more than provoke memories; a sense of belonging rooted me to the golden years of Hollywood. I was completely uneducated in the craft of research. My first phone call was to the Beverly Hills Police Department. They were not very helpful after I told them who my father was. ‘The Bugsy Siegel case is still open. We cannot release any files on your father. Call the Criminal District Office; they’ll have records of him there.’ The case was open? Sounded a bit squishy to me. On a stormy day when the queen palms whipped though torrential rain, flooded streets and metallic clouds hanging low like a net over the sky I was on my way to the Criminal District Office in the Hall of Justice on Spring Street. Unfamiliar to me, but somehow as I walked up the prolonged steps it was recognizable from films and television. The Courthouse, the County Jail, all that authority in an unmarked white stucco building. Not a blade of grass out of place. When I arrived at the entrance my heart was racing. My father’s voice did not interfere with my direction but I felt his disapproval. The first person I confronted was an imposing woman with a sternness that studied me. She reached for the desk drawer and passed me a form. She asked me to step aside and fill it out. “Allen Smiley.” She turned to her computer and entered something. She read from the screen and then removed her glasses and rubbed her eyes. I gave her the form with his FBI number and started to leave. “Here, come back. I found the criminal case numbers. The numbers are 19778, 19926, and she read out nine different cases. As I watched her write these down I thought they know things about my father that I don’t. “Bring these to the National Archives in Laguna Nigel.” She said. Outside the clouds converged over the San Bernadino Mountains. The strain to see through reminded me of my own predicament; how to see through the fog of secrecy and ambiguity. The following day I drove to the National Archives. I didn’t know such a place existed. A polite man took my case numbers and when he returned he was wheeling a shopping cart of files. His name was Bill Doty. I looked at the brown manila files he stacked on a desk for me. “Not just yet–I have to read these first.” The files took me on a criss-cross chase of a man I didn’t know. The case files included testimonies, court transcripts, appeals, and newspaper articles. “How’s it going?” Bill appeared. Even now twenty-two years later I can conjure up the exact image of that sterile polished reading room, my stomach churning, the sound of the doors opening and closing, and Bill’s footsteps on the waxed tile floor. Crunched over the stack of documents I read my father’s answers to Examining Officers questions, from an Immigration and Naturalization Agency (INS) hearing in 1962. The faded black type on his three page arrest record elevated my distress; assault, bookmaking, operating without a liquor license, robbery, extortion, contempt of court, suspicion of robbery, suspicion of murder, the words blurred. Suspicion of murder? Maybe Jack was right; Dad had more involvement than a friendly association. Every few hours I went outdoors and sat on a bench to breathe. My stomach was stiff as those fastened files. It was a feeling I’d never experienced in my life. watery pools filled with the density of his life. “Have you read Ed Becker’s book, All American Mafioso?” Bill asked. He randomly pulled a file from the rack. The memoir is written in the Creative Nonfiction genre and is ninety-two thousand words. Writing my way home began as a compass to my secretive and dishonorable family history. This is the story of a woman whose survival was wedged between shameless love and immobilizing fear of her father. After my almost perfect mother, Lucille Casey, an MGM musical actress died, Dad gained custody of me. I was thirteen years old. 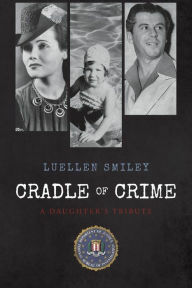 What followed was a nail-biting tumultuous father daughter relationship between Allen Smiley, a Hollywood gangster, and his teenage daughter, that I’ve named Lily. As Benjamin “Bugsy” Siegel’s best friend and business partner from 1937 until his death in 1947, Dad acclaimed Ben Siegel. He was seated next to him the night Ben was murdered. The fatal outcome was speculation of his involvement fed by the FBI to the media, death threats from Mob associates, and vicious harassment from the Immigration and Naturalization Service. I’ve learned by this time Dad had amassed a weighty criminal record, was under indictment for false claim of citizenship, perjury, and an order of deportation. After demonstrating to the Mob he wasn’t going to seek immunity offered by the government; they honored and protected his life. Their methods are described in transcripts from the FBI files; amusing, violent,and illegal. Dad served the organization until his death in 1982. Faced with an identity meltdown ten years after Dad died I implored his friends, associates, attorney, historians, FOIPA, Immigration and Naturalization Agency, and Archives of the Department of Justice, to build the branches of my family tree. Along this irreversible journey I suffered disgrace, rage, and Dad’s ghostly disapproval as I delved into the files and discovered the family secrets. Simultaneous with the reading is a dissection of my reactions to his criminal activities, gambling addiction, attempt at reformation, and hatred for the government. The vendetta the government placed on him for not informing earned my mother’s silent devotion. In the end they won. She divorced him. I could be mute about the subject, or expose what I know because I’ve made the family history mine. Incorporated within stories of discovery are government surveillance records, newspaper articles, court testimony, and criminal activities that defamed his reputation and our family. As the discoveries occur the reader is taken inside the transformation of my identity. Once liberated from Dad’s paranormal disapproval of my investigation, I break my silence and begin writing columns about growing up with gangsters. This opened the doors to unknown relatives, mob friends, and an identity that suits me well. A startling yet an inspirational look inside the struggle of a gangster’s daughter to understand her father’s allegiance to the Mob. I don’t know how much more of this I can process. I don’t feel Dad’s disapproval as strongly; this expository involving my mother is deepening my resentment for the government. This is just one binder of two-hundred pages, and I have fifty binders. I’ll rearrange my dresser drawers or hand-wash sweaters for awhile. It’s too early to have a glass of wine! Two days have passed, as my resistance to more reading of these FBI files was due to a suspended state of melancholia.